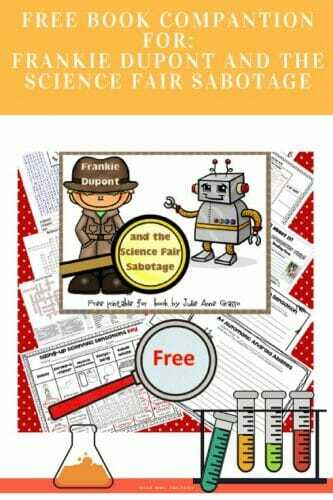 Frankie Dupont and the Science Fair Sabotage is a new book by Julie Anne Grasso. This post has a free book companion for the book. The mystery is solved once again by Frankie Dupont, the only almost eleven year old in the city of Maizon to hold a private investigator-in-training certificate. This book is the third in a series of crime fiction appropriate for ages 8 and up with more books already in the works. 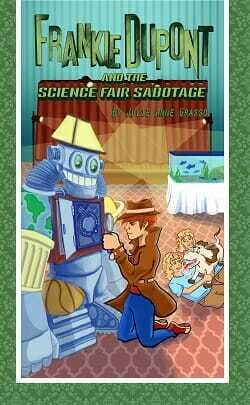 Julie has once again written a book to captivate elementary age novel readers. In this story, student and adult inventors use recycled materials for a sustainable living science fair. The competition has a small prize for a winning student, and $50,000 grant to fund production of the selected invention. With so much at stake, entrants have to pass through a metal detector and X-ray machine. Of course, this event is being held at Enderby Manor where previous mysteries have occurred. In that setting, an amazing ending is more than a surprise. Sherlock is Frankie’s trusty dog, and his behavior is very helpful as always. With only seven students participating in the fair, there are a mere five suspects as two are the victims of the crime. Frankie goes to work using his magnifying glass and other detective tools after the crime scene is secured by the teachers. Near the end of the book, the suspects are narrowed to only two, but the final conclusion is surprising and exciting. I’m sure children will enjoy this story. 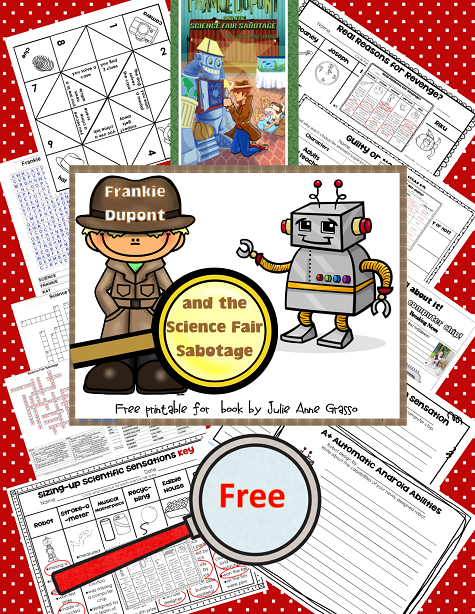 My free printable includes circle the answer, creative writing, a cootie catcher, a word find, and a crossword puzzle. After students enjoy the story, they can do more detective work on these puzzling pages. I hope you will like this pack. As always, I buy my own books. This book companion resource is completely free and available here.